Who, and Why… | edible. Angela Flack is a traveller, author, and creative cook. Her psychology degree and international studies led her to explore the connections between the food we eat and our mental, emotional and physical wellbeing—as well as the health of our planet. Edible. is the result of that journey. 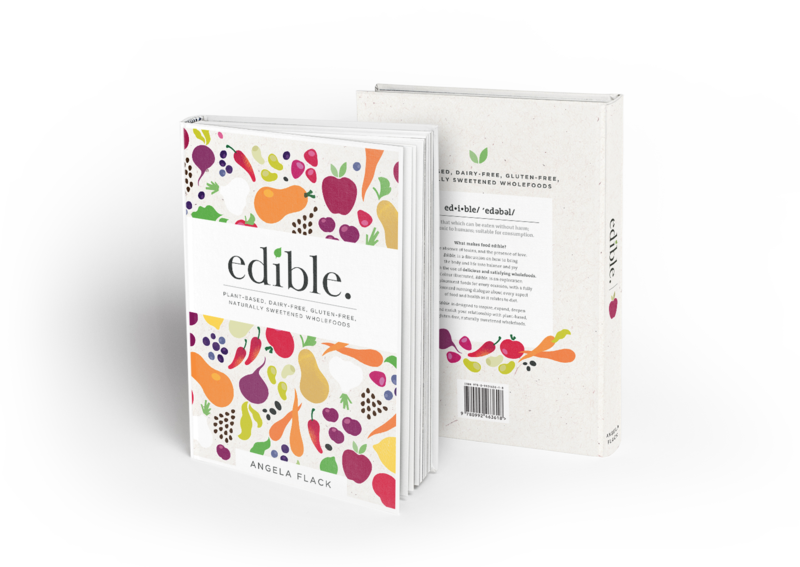 Edible, the recipe book, is a launching pad into a world of nourishing and enjoyable foods for those new to an alternative diet, and as a fresh source of inspiration for seasoned wholefood lovers. Edible. explores glutenfree, dairyfree, vegetarian foods, with a strong emphasis on gut health. Recipes are naturally sweetened, and organic where possible. The recipes are influenced by naturopathy and macrobiotics. All 426 pages are fully referenced to journal articles to allow informed discussion around food production, nutrition and sustainability. Check it out now at http://www.ediblethebook.com. Connect via the discussion group at www.facebook.com/groups/edible. Instragram, Youtube and Twitter are #edibleangela @edibleangela. Click here for Interviews with Angela. I want to contact you to invite you yo be the guest speaker at a dinner meeting of the Zonta Club of Macarthur Inc. I am the President and I live in Tahmoor, so could meet up with you easily. Our club has a Facebook page if you want yo look us up and skdo you can get into re Zonta International in the ZI website. We meet Wednesday evenings at Wests Campbelltown.